On a visit to Liverpool’s Battle of the Atlantic Bunker I became aware of things that seemed time-locked in the 1940’S. The guide was a German student. 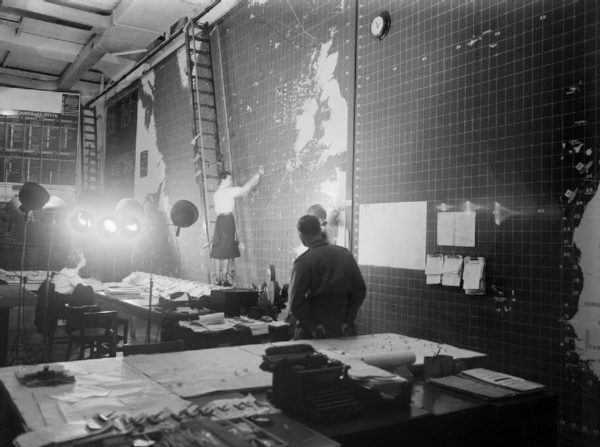 I think that his presence may have inadvertently triggered some of the activity as this was a top secret facility designed to fight the U-Boats, sink the Bismark Battleship and carry out convoy operations to America and Canada! The activity in the bunker I experienced was a perfume smell of a female that died in the operations room – there have been accounts of people seeing her ghost! Two other visitors got lost and maybe they’d experienced things as they fled for the nearest exit! In the room, that has an overview of the complex, I saw a shadow move across the wall. When i tried to replicate it, under the lights, it did not reproduce the same effect! I became increasingly aware of someone following me and my friend around the site. On reaching the rest room, near the exit, I smelt smoke from a recent match strike to a cigarette or a pipe! On leaving, the lady on the pay in counter said that the activity is constant and things such as sounds are heard, apparitions seen and poltergeist activity witnessed with items moved and electrical malfunctions. The Bunker is a visitor attraction and well worth a visit. It’s situated near the Pier Head ,under Derby Square. Only a fraction of the site is open to the public!